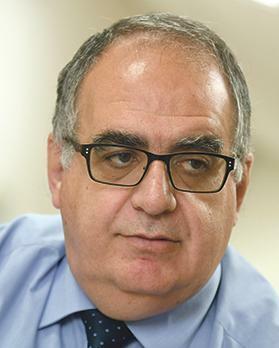 To eliminate mental health stigma in Malta, we have to start off by normalising the issue, Mental Health Commissioner John Cachia said this morning. Speaking at the launch of a nationwide campaign called #StopStigma, Dr Cachia commended the stakeholders’ work within the mental health field, but urged them to work more with patients and their relatives. Mental Health Commissioner John Cachia. “Until patients and their families stop asking me to speak out on their behalf as they are scared of being labelled, we cannot win the fight against stigma,” he added. Earlier, first year Mental Health Nursing student Flora Tanti noted that as a sufferer of mental health issues, she has spent 15 years of being stigmatised and labelled as crazy and incapable. Her presence at the event proved the opposite. The campaign originated in an assignment by 12 students on mental health education, as part of a Bachelor’s Degree in Mental Health Nursing. The aim was to come up with a set of posters and accompanying awareness campaign that could be used for a nationwide campaign. The posters were presented at an international conference and the idea was taken up by the Commissioner for Mental Health. With his office’s support, the collaboration of the Mental Health Department within the Health Sciences Faculty and the University of Malta, the mental health awareness campaign was launched this morning. Apart from posters and flyers that avoid negative stereotypes commonly associated with mental illness, a number of personalities will be invited to join the campaign as ambassadors. NGOs and private companies are also being urged to join the campaign and promote awareness among their employees and clients, among others. Graduate Christy Compton said that it was no secret that mental health issues were on the increase, with the World Health Organisation finding that a quarter of the world's population suffers from some type of psychological distress. The campaign seeks to reduce discriminatory behaviour towards people with mental illness, Josianne Scerri from the Health Sciences Faculty added. She referred to local postgraduate research in which a woman compared stigma to a millstone round her neck. ‘You carry this label on your back stating that you are mental, not human, you just lose your dignity, you lose your trust… you lose yourself… I do try to make an effort to move on in my life but society has its own expectations of me,’ the woman describes her struggles. The burden that people with mental illness carry could discourage them from seeking the appropriate support and treatment, Dr Scerri warned.